Take advantage of special savings with $700 off select staterooms (double occupancy required)—or $350 per person—on your dream Adventures by Disney Danube River Cruise with this limited time offer when you book by October 20. Set Sail and Save on Select Adventures by Disney Danube River Cruises! 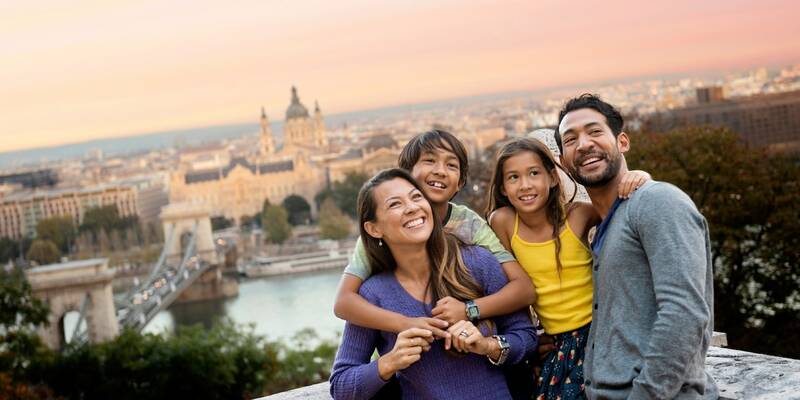 With savings of $700 on select staterooms (double occupancy required) or $350 per person, there’s no better time to save and sail on your dream vacation—an Adventures by Disney Danube River Cruise! Explore the beauty of unforgettable destinations in 4 amazing European countries as you cruise the Danube in luxury. Book through October 20, 2017 to take advantage of this special limited time offer. $350 per person (or $700 per stateroom with double occupancy required) discount is based on the non-discounted prevailing river cruise package price as quoted on AdventuresByDisney.com for the applicable departure date on the date of booking (“Regular Rate”). Offer valid on a limited number of select staterooms and stateroom categories (note that suites are excluded). Bookings are subject to availability. Valid on new bookings only. Discount not applicable towards deposit. Offer is not transferable or redeemable for cash in whole or in part and cannot be sold or transferred for commercial use. Cannot be combined with any other offers, discounts or promotions. Lead guest of the booking party must travel on the river cruise package booked. Void where prohibited. Offer is subject to change without notice. Bookings subject to restrictions andAdventures by Disney’s standard Terms and Conditions. For more information about this special Adventures by Disney discount, please contact our sponsor Mouseketrips.